You hear a lot about cloud computing and how important it is for your business. But why? Read below to learn about the benefits of cloud computing. With over 148 million active users, Netflix was outgrowing its data centers at an alarming rate. If things stayed the same, the video streaming company wouldn’t be able to keep up with demand during peak usage hours. That’s when they started considering the cloud for growing their business. The benefits of cloud computing would allow them to provide more than enough streaming power. This would let Netflix focus on what it does best, content creation and marketing. What is cloud computing in simple terms? The cloud consists of ordinary servers that businesses can rent. Instead of having to buy more servers and pay more IT personnel every time your user base grows, you rent what you need. Your business can start benefiting from cloud-based applications today. This article will show you 10 reasons why you need to start using the cloud to stay competitive. Cost savings are at the top of the list of cloud computing benefits. Unlike more traditional media services, like cable where you end up paying for tons of features you never use, cloud computing is a pay as you go system. This is why it works so well for businesses like Netflix that experience large surges of users accessing data at the same time. Almost all businesses encounter customers in surges which can be hard to prepare for when monitoring your own servers. The benefits of technology make it possible for a company to always be able to handle incoming requests. Many business owners worry that sending important data over the internet is unsafe. But most businesses handling their own IT don’t allocate enough resources to cybersecurity. A cloud service provider’s job is to provide round the clock data security. If you have IT workers, they have the responsibility to keep everything running. Security is usually an afterthought for in house IT teams. RapidScale, a cloud managing company, found that 94% of business cloud users reported better security with the cloud. The cloud is able to provide constant security checks to protect your data. The benefits of cloud computing are most useful to startups. Building your own data center is expensive and time-consuming. A startup with limited funds may not have anywhere close to the capital needed to build their own IT infrastructure. You can start a business today and rival the computing power of some of the biggest corporations. Disaster recovery plans are often complex and leave out many of the small details you need to consider when an emergency hits. 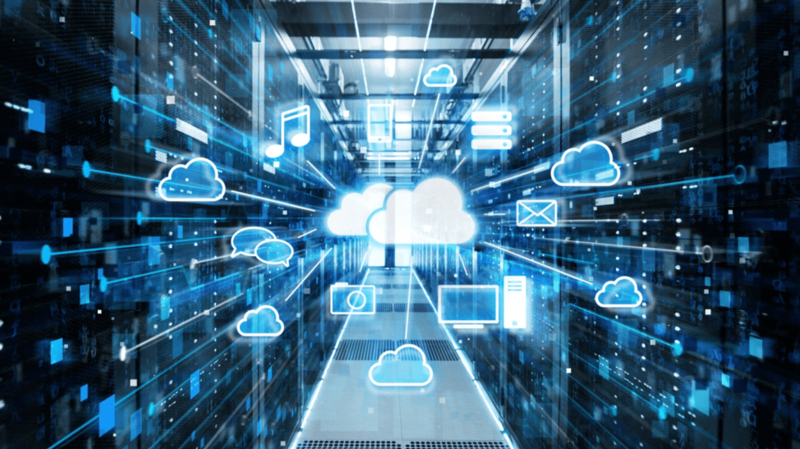 The Aberdeen Group, an internet marketing firm, found that businesses using the cloud rebounded faster from service disruptions. These businesses were back up and running in 2.1 hours. This is almost quadruple the speed businesses with local servers take (about 8 hours). Keeping your software up to date is one of the easiest ways to protect your network. But waiting just a couple days to upgrade can give hackers aware of a security hole ample time to break into your network. Cloud service providers automatically update their software. Companies in the UK reported spending 18 days a month keeping their servers up to date and safe to use. Think about what your employees could do with over 3 business weeks more a month. Make it easier to collaborate with your employees. Having anywhere, anytime access to your business’ data makes it a breeze for multiple employees to work on and edit the same project. Send documents to sign right away. Have your graphic designer make a quick edit before a presentation. Outsource work across the world. All this is possible with cloud computing. File sharing online makes the world your office. The cloud is always on. Have you ever gotten home after a long commute only to realize you left a file you need at the office? We all have. Steve felt the pain of using your own local storage. Storing tons of data on your own computer slows it down. The only way to make it faster is by dedicating time to making it more efficient. The cloud takes this burden off business owners. Use less energy with the cloud. Want to know something crazy? If all American businesses switched to the cloud, the energy saved would be enough to power all of Los Angeles for a year. That’s 23 billion kilowatt-hours. Companies can shrink the carbon footprint caused by their computing power by 87% by switching to the cloud. Bring in more data to analyze. Using your own servers for storage could force you to dispose of some data in order to store more. This can be detrimental when you find out later that something you deleted was needed for a future decision. Cloud computing lets you take full advantage of all the data your business has spent money collecting. More data means more fact-based decision making. The cloud makes monitoring your business easy. All monitoring of your operations is in one place. Instead of having to dig through multiple interfaces to find where a problem is occurring, your cloud service provider will alert you of an outage. So what did Netflix do when they realized expanding their data center would eat into their profits? That’s right, cloud computing answered their prayers. They can handle any surge in users no matter the size. So when the unexpected hit Bird Box made it’s Netflix debut, streaming to 45 million users went off without a hitch. That’s over 6 million subscribers a day accessing Netflix. Imagine trying to manage all the servers required for that task yourself. Netflix probably wouldn’t have the resources for blockbuster content creation if they had to support their own infrastructure. That’s why the benefits of cloud computing are unexpendable to any modern business. In a world of constant data breaches at large companies, we can’t afford to be lax on security anymore. Cloud computing helps get us there. Find out how to prepare your employees for a cybersecurity emergency now.